Christina spends the majority of her time providing assurance services to a large variety of clients, however she is also in involved in compiling and reviewing personal and corporate tax returns, overseeing various compilation engagements, and performs US tax services. 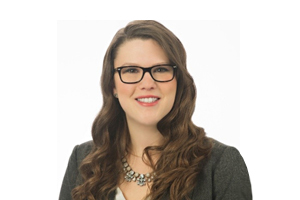 Christina joined the Welch Cornwall team in May of 2012 after completing a BA in Math from Queen’s University and the Business Admirative Accounting program at St. Lawrence College. Christina knew from the first few weeks working at Welch that accounting was her passion and pursued her Bachelor of Commerce with a Major in Accounting from Athabasca University while working. After successfully writing the CFE in September of 2017 she became a CPA, CA officially in March of 2018. Being part of a smaller office, Christina has the opportunity to get involved with a variety of different engagements, as well as office activities. She is involved with marketing the Cornwall office and planning events on top of providing accounting services. Board Member, Cornwall & the Counties Community Futures Development Corp since July 2017. SD&G OSPCA Fundraising Committee member since September 2010. Director, Home and Garden Division, Williamstown Fair since August 2015. Advisor, Business Program Advisory Committee since November 2014. Too many books and authors to choose from! The most memorable vacation I have been on was when I went with my family to Germany to meet all my relatives I have never met before. Getting to meet the other side of my family and learning their traditions was an experience I will never forget. The proudest of earning my CPA, CA designation and being among the few female Managers ever in the Cornwall Office!